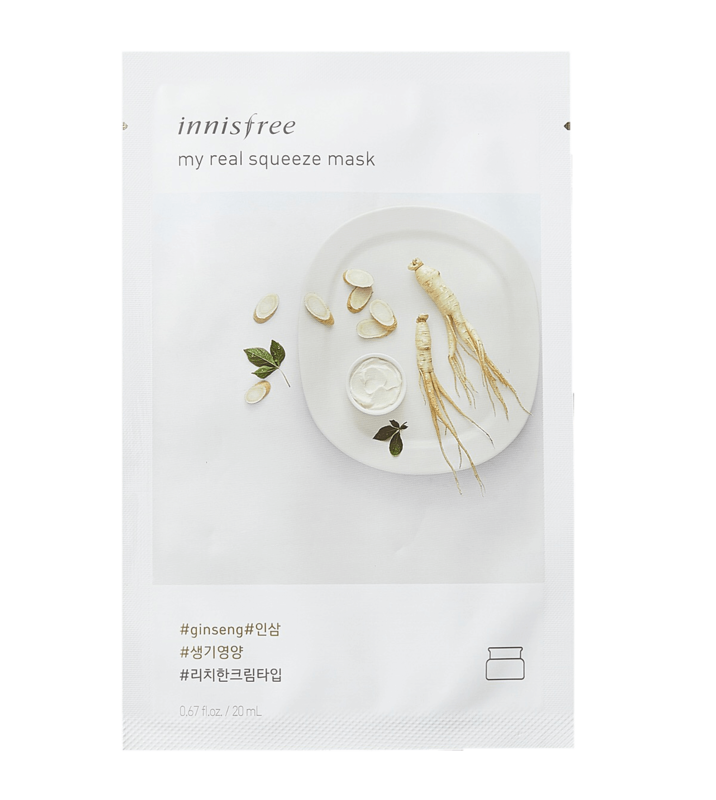 The Innisfree My Real Squeeze Ginseng Mask deeply nourishes the skin to achieve an energised and bright appearance. This sheet mask boosts skin nourishment to achieve an energised and radiant appearance. Ginseng – a herbal ingredient originating from Korea and China that stimulates collagen production, reduces winkles and fine lines, brightens skin and accelerates the skin cell turnover.